Adam's Lair Forum • View topic - Can't Change TileCount, and I have way to many tiles. Can't Change TileCount, and I have way to many tiles. Post subject: Can't Change TileCount, and I have way to many tiles. I have 105 tiles, when I should have around 20. How do I fix this? Am I Doing something wrong? 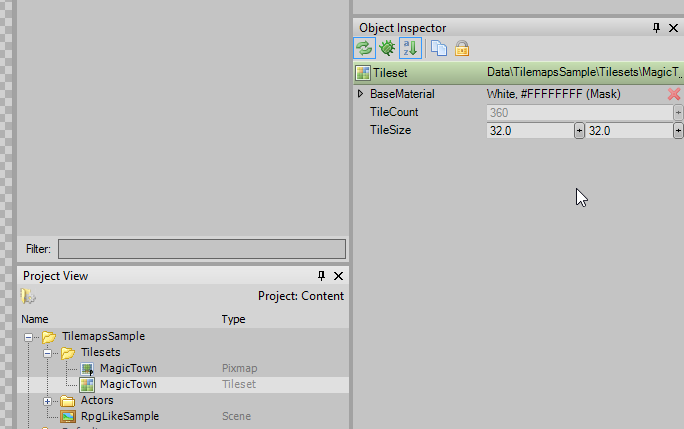 Post subject: Re: Can't Change TileCount, and I have way to many tiles. Are you sure they are 32x32 (TileSize)? They look way bigger than that..
Maybe? I don't know it might be something else. I tried 16 x 16, 64 by 64. But they still have 105 tiles. This size specifies how big, in world units, tiles are when painting them onto a Tilemap, generating world collision info, or rendering them. Increasing this would result in your actual Tilemap instances appearing bigger or smaller. You can still scale your Tilemaps of course, but this is where they get their base size. 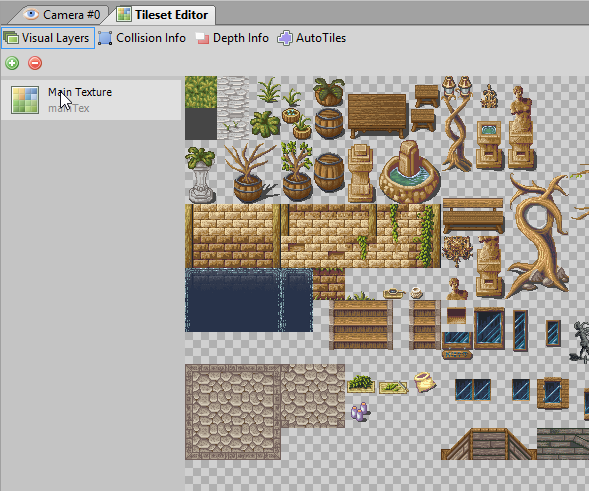 This size describes how big, in pixels, a single tile is in the source Pixmap of that layer. Increasing this will result in using bigger chunks of the image for a single tile, reducing the number of extracted tiles and increasing the number of pixels in each one. 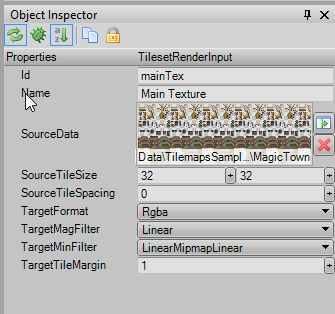 In more complex scenarios, you'd be able to have different source tile sizes for different layers and a completely independent world unit size in order to control rendering resolution and, for example, specify 1:1 color data, but half resolution normalmaps. Generally, things are much simpler though: In order to render all the tiles 1:1 from pixels in world units, you just need to set both properties to the same value. I made a new tileset and it works now.